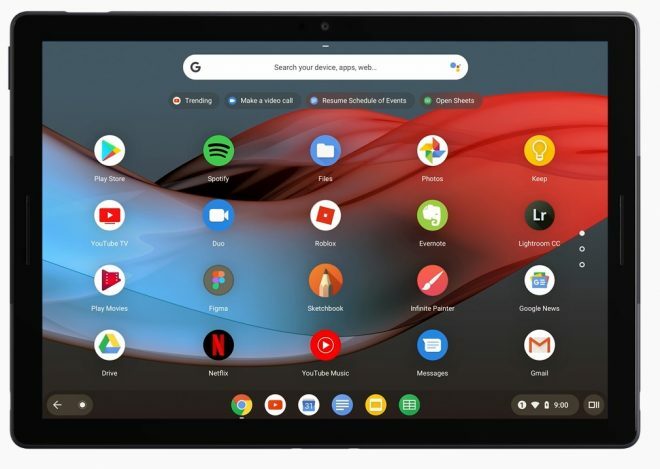 The new Chrome 2-in-1 tablet Google Pixel Slate is a 12.3-inch tablet with a LCD display resolution of 3000 x 2000, in configuration options of Intel Celeron / 4GB RAM / 64GB storage for $599, or 8th gen. Intel Core m3 / 8GB RAM / 64GB storage for $799, 8th gen. Intel Core i5 / 8GB RAM / 128GB storage for $999, or 8th gen. Intel Core i7 / 16GB RAM / 256GB storage for $1599 for the tablet, before the keyboard and pen. Google Pixel Slate specs includes dual-band 802.11 a/b/g/n/ac Wi-Fi cover, stereo front-facing speakers, 8MP front camera, 8MP rear camera, 2x USB Type-C ports, a fingerprint reader in the side power button, and a 10 hour battery life. 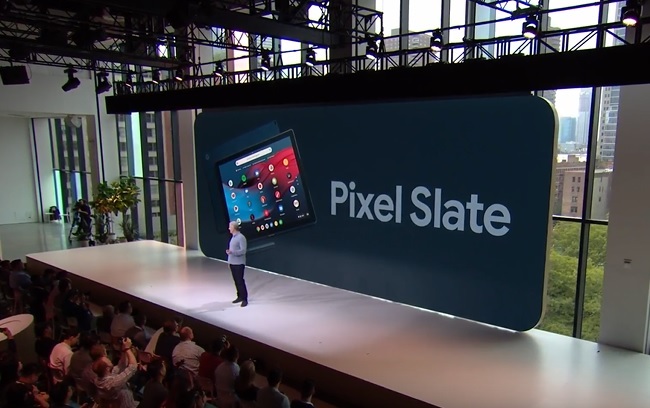 Pixel Slate is 7mm thick and weighs 721 gram. The only color options is dark blue though, called midnight blue. 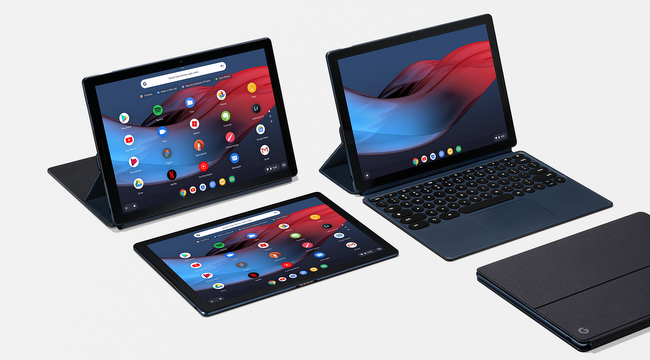 The optional Google Pixel Slate Keyboard is a folio keyboard cover that also acts as the tablet stand, with round hush keys, a backlit keyboard, and a trackpad. Director of product management at Google, Trond Wuellner who announced the Pixel Slate for Google called this tablet “the best entertainment experience you can hold in your hands!” His words, not mine. 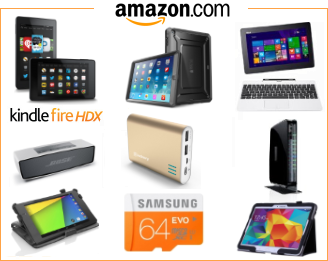 Features includes split screen for dual window multitasking, and included with the tablet is also 3 months of YouTube TV.